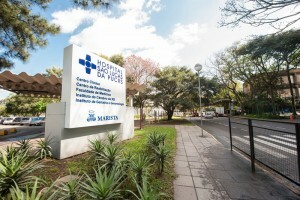 The Main Campus comprises the São Lucas Hospital (HSL) and the Clinical Center. PUCRS’ São Lucas Hospital is engaged in patient care, and teaching and research activities, based on human values, interdisciplinary approaches, and commitment to community health. It is a non-profit general hospital that provides care for adults, young adults and children, covering virtually every medical specialty. Sitting in an area of 49,000 m², the HSL has 577 beds, more than 2,800 employees and a clinical body consisting of more than 2,000 doctors. Outpatient and emergency care, hospitalization and complementary exam services are offered at HSL.